You are here: Home › Expat Meetup Amsterdam Dutch Language Pub – Learn Dutch for free! 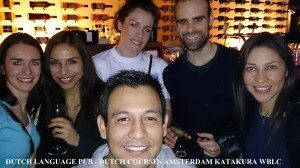 Learn Dutch for free at the Dutch Language Pub for Expats! Every first Friday of the Month at 20:00. Check Facebook to RSVP and confirm the date. 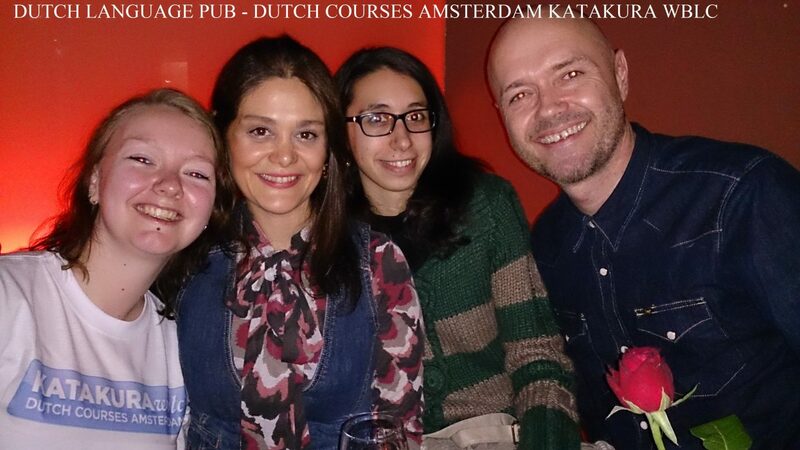 At this event you can practice your Dutch with the help of the KATAKURA WBLC Dutch teachers. 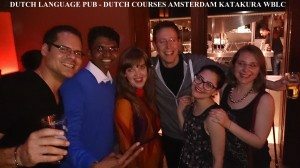 Simply tell the teachers your level of Dutch and then you will be directed to a group where everyone speaks around that level. Then the groups have casual conversations. The teachers will correct you and help when necessary as well as participate. 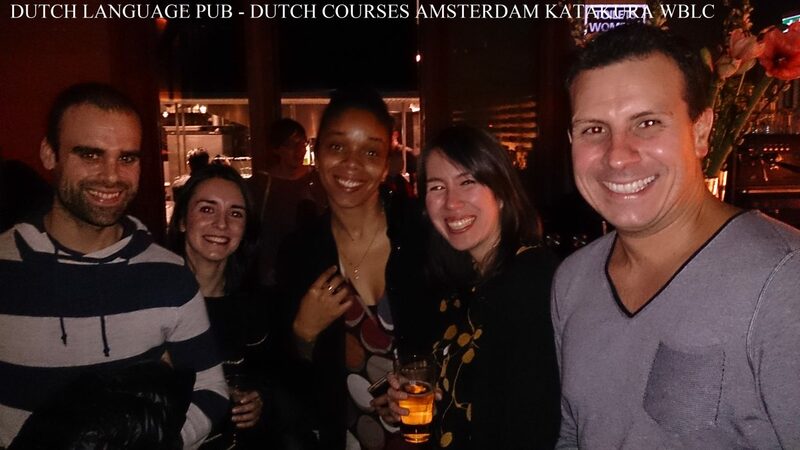 It is a nice way to meet other expats who are improving their Dutch and to make new friends. RAFFLE! At the Dutch Language Pub we will be holding a raffle! Everyone who attends will have the opportunity to win a FREE Katakura course or a language dictionary. Make sure you get your free raffle ticket when you arrive to enter yourself in the lottery and good luck! Doors open at 8:00 pm. We have the Lounge exclusively until 10:00 pm. After that we go on until midnight! Did you make other plans this time, but never want to miss another Dutch Language Pub? Stay up to date on all Dutch Language Pub activities through Facebook! 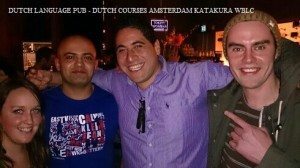 This is also the perfect place to relive the evening by clicking through the night’s photographic evidence. Feel free to tag yourself and your friends!